Wifi! By Florian Boyd/flickr. Creative Commons license. All of these articles make me think of the structural requirements inherent to any network. There must be some system or series of structural conduits through which the connections are made, whether mechanical or organic. The exercise this week emphasizes the reality that we must face when discussing networks – to really analyze or discuss the nature of the network and all of its constituent parts and processes, we must have a fundamental working knowledge of the structure…the “how it works.” Could this be related to what Foucault says about the need to examine discourse by first “freeing them of all the groupings that purport to be … universal unities” in order to reveal or foreground those that are “invisible” (29)? This passage on p. 29 where he describes his reasoning reminded me of an astronomical phenomenon called a “black hole,” the existence of which can only be substantiated by examining relationships, their “reciprocal determination” with regard to other visible spatial bodies, in order to best understand the functioning of said cosmos. Those areas of “difference” (Biesecker) are prime “nodes” for analysis and examination because the action there disrupts the status quo of the established means of interpretation (what we might call a rhetorical canon of practice, perhaps). As WiFi and mobile communication technologies are overtly characterized as network-based means of connectivity, these examples of practical applications of such connections offer us “objects of study” to which we might begin applying our emerging theories. Here, then, is a brief summary of the articles’ contents, including key terms and definitions drawn from the sources, along with brief observations making connections to our other readings / discussions. A point-of-sale system is, quite simply, that mechanism by which payment is transferred between consumer and sales representative. The article points to the evolution of such systems, from cash transactions to barcodes to SmartPhone apps. The author outlines ways that mobile technology “is altering the way we shop.” Advancements in wireless technology developed in the 1990s allowed data to be transferred even more rapidly, and via mobile devices. Proposed benefits of this technology — factors mentioned in all of these articles — include increased productivity and lower operational costs. Restaurants are the primary node in this development; from mobile card readers to iPhone apps the clients can use to place orders and transfer funds (see the preceding link to a Wall Street Journal article). But questions of security are key. Another device is called “contactless payment,” from computer chips embedded in cards to phone apps, all designed to ultimately speed check out. A white paper published in 2010 highlights this “vanishing checkout lane” phenomenon. Given the recent news stories about banning in-flight cell use, this more recent article (2008) of the set seems particularly interesting. The history of this dates back to 1980s (“the Airfone service…based on radio technology”). The provided explanation begins with a comparison to how cell phones work on the ground, equating cell phone technology to, at most basic, “a two-way radio,” switching frequencies to allow simultaneous back and forth communication. (But it doesn’t go much deeper than that.) However, when airborne, the system relies on different technology: “The service provider, OnAir, uses special equipment to route calls and messages through a satellite network, which patches it into the ground-based network. The airplane crew controls the system and can limit or disable its use.” This again demonstrates a network comprised of several layers of structural networks to allow multiple methods of use. The article points out safety concerns, especially when the ground-based technology is used when airborne (article refers to this as “traditional ‘terrestrial’ cell phones”). The trouble is based on radio signals, raising the concern that the overlap with airplane navigation signals can cause dangerous disruptions, a concern that seems to be justified given British research reports cited by the Telegraph. But the article also points to a Mythbusters’ episode that challenges this conclusion. 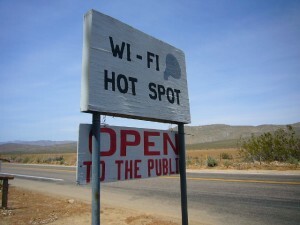 The article describes the two cell network technologies: GSM & CDMA (more common to the US) – “both GSM and CDMA use different algorithms that allow multiple cell phone users to share the same radio frequency without interfering with each other.” MOBILE broadband = labeled as 3G and now 4G (g=generation). CDMA creates separate transmission channels, one for voice, one for data. Access depends on the type of integrated technology owned. 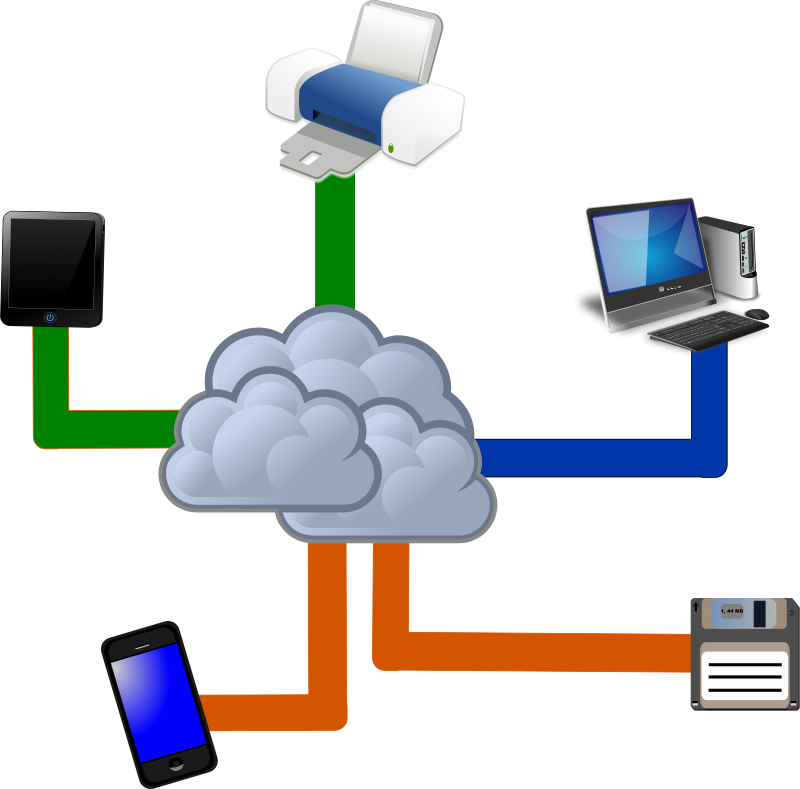 GSM uses a network allows for both types, making it more efficient by giving higher priority to download data. Again, special hardware is required to use this type of system, as well as be in range of a signal tower…so there are physical ties to ground-based network mechanics that must be observed. Here’s a fascinating difference between the time of this article and today: “Cellular providers generally package their mobile broadband services for cell phone users.” With the growth of SmartPhones, this has been reversed (see this 2012 WSJ article ). The author refers to “broadband” or a larger bandwidth for transferring as a “new” means to transmit the heavy loads of data Internet users have come to expect, as a means of replacing the lowly mechanical network hub, the modem, including cable modems, DSL (digital subscriber lines), and now, new options that are airborne. How it works: aircraft-mediated hubs (“High Altitude Long Operation” or HALO) flying in set patterns to accommodate (primarily) business needs for fast transmissions. Other options: blimps or NASA “sub-space” plane (unmanned). Built on the premise that land connections are limited by physics – mechanical restrictions of cables, etc. — the airborne will accelerate transmission time because it isn’t limited by physics of structurality or by physics of space (distance adds time of response). Businesses rely on UC to reduce costs, increase productivity, and streamline usage. The tech keeps messages from sitting idle on a server somewhere. But there are problems and complications. Some VoIP (Voice over Internet Protocol) services don’t translate seamlessly to consumer’s expectations (based on their experiences with land lines). Another type of communications platform technology used for UC is the SmartPhone. But then there’s the line blurring between the personal and the business uses, including security of data. 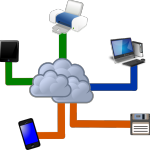 Still another arena in UC is the cloud – data management. The primary example of successful UC is social media, still “blur[ring] the line[s] between our personal and professional contacts.” This medium advances even more the network potential of UC. 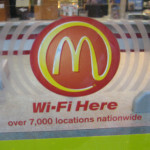 There’s an interesting lapse in the publication date revealed in the opening paragraph, which refers to an enthusiastic prediction that “in the near future, wireless networking may become so widespread that you can access the Internet just about anywhere at any time, without using wires.” Given the WiFi hotspots signs that appear everywhere from Starbucks, to McDonalds, to some gas stations, the dated nature of the article seems almost comical. The article describes WiFi as “technology that allows information to travel over the air” using radio waves, comparable in function to “two-way radio communication.” I find it interesting that the article refers to a computer’s capability to “translate” data, akin to the mental processes we take to sift incoming information and produce a version suitable to the purpose and audience (how’s that for rhetorical?). The router = the node, but not just a center of organization; that node actually “decodes” the input (the language / “signal”), then passes on that info through a physical means (from air to wire). This type of interpretation depends on the mechanical; think of p. 24 Foucault, when he writes that unities of discourse – the accepted methods or systems that comprise a tradition or historical context – are “the result of an operation…[which] is interpretive (since it deciphers, in the text, the transcription of something that it both conceals and manifests” (24). Bonsor, Kevin. “How the Airborne Internet Will Work.” 30 April 2001. HowStuffWorks.com. <http://computer.howstuffworks.com/airborne-internet.htm> 18 January 2014. Brain, Marshall, Tracy V. Wilson, and Bernadette Johnson. “How WiFi Works.” 30 April 2001. HowStuffWorks.com. <http://computer.howstuffworks.com/wireless-network.htm> 18 January 2014. Crosby, Tim. “How In-flight Mobile Phone Services Work.” 3 March 2008. HowStuffWorks.com. <http://computer.howstuffworks.com/in-flight-mobile-phone-services.htm> 18 January 2014. Kelly, John. 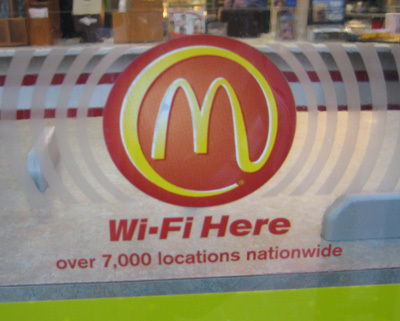 “How are point-of-sale systems going mobile?” 8 March 2010. HowStuffWorks.com. 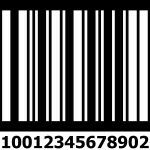 <http://computer.howstuffworks.com/point-of-sale-mobile.htm> 17 January 2014. LaPine, Cherise. “How Unified Communications Works.” 9 March 2010. HowStuffWorks.com. <http://computer.howstuffworks.com/unified-communications.htm> 17 January 2014. Roos, Dave. “How Mobile Broadband Services Work.” 2 April 2008. HowStuffWorks.com. <http://computer.howstuffworks.com/mobile-broadband-service.htm> 18 January 2014.